As any REVITALIZATION subscriber—or anyone who has heard one of Storm Cunningham‘s talks or workshops in the past decade knows—high-speed internet connectivity has become one of the most essential elements of any communication strategy. Telecommunications companies, rural electric cooperatives and utilities, internet service providers and municipalities can now apply for funding through USDA’s new ReConnect Program to connect rural areas that currently have insufficient broadband service. Congress appropriated funds in the fiscal year 2018 budget for this broadband pilot program. USDA Rural Development is the primary agency delivering the program, with assistance from other federal partners. Approved projects must create access speeds of at least 25 mbps download and 3 mbps upload. Priority will be awarded for projects that propose to deliver higher-capacity connections to rural homes, businesses and farms. USDA seeks to stretch these funds as far as possible by leveraging existing networks and systems without overbuilding existing services greater than 10/1 mbps. Evaluation criteria include connecting agricultural production and marketing, e-Commerce, health care and education facilities. Previous research by USDA has demonstrated that high-capacity broadband is critical to all aspects of rural prosperity, including the ability to grow and attract businesses, retain and develop talent, and maintain rural quality of life. To view a related USDA report, download the Report to the President of the United States from the Task Force on Agriculture and Rural Prosperity (PDF, 5.4 MB). To view the categories of the recommendations, download the Rural Prosperity infographic (PDF, 190 KB). Approximately $200 million in grants is available, with applications due by April 29, 2019. Another $200 million in loan/grant combinations is available, with applications due May 29, 2019. Finally, $200 million in low-interest loans is available, with applications due by June 28, 2019. 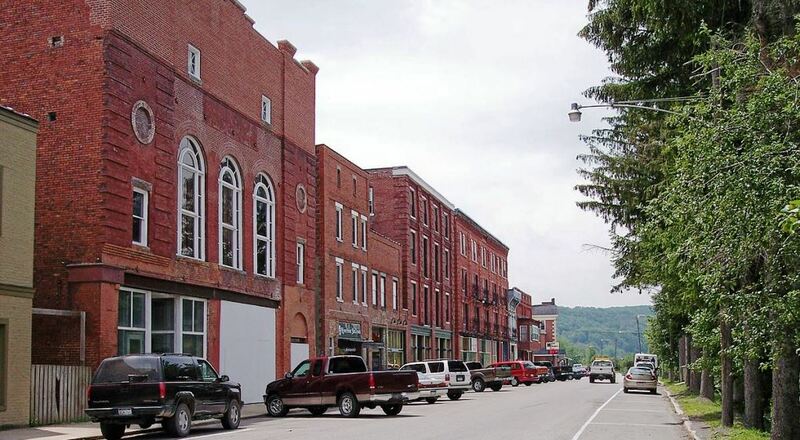 Photo of downtown Thomas, West Virginia by Storm Cunningham. To help you with the application process, USDA is holding a series of online webinars and regional in-person workshops. The full list of upcoming public webinars and workshops can be found at the ReConnect Program’s resource portal at Reconnect.usda.gov.